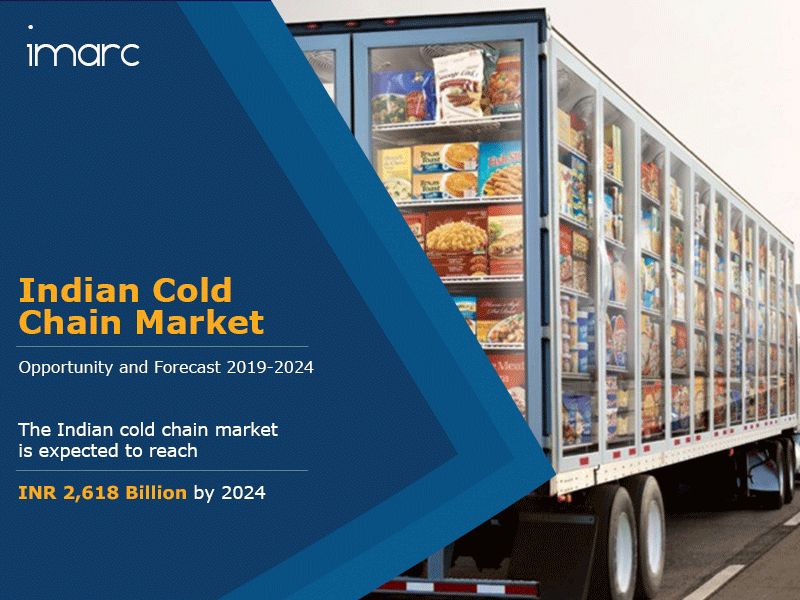 According to the latest report by IMARC Group, titled “Indian Cold Chain Market: Industry Trends, Share, Size, Growth, Opportunity and Forecast 2018-2023”, the Indian cold chain market reached a value of INR 1,121 Billion in 2018, growing at a CAGR of 21.9% during 2011-2018. India is one of the world’s largest producers of milk, meat, fruits, vegetables and fishes on account of its diverse agro-climatic zones. Despite this, a large part of the fresh produce gets wasted every year due to the lack of adequate cold storage and transportation facilities in the country. Although the cold chain market in India is currently at a nascent stage, it is anticipated to experience considerable growth in the upcoming years. Understanding the importance of cold chain facilities, the Government of India has extended its support for improving the transportation and storage infrastructure in the country with the help of agencies such as NABARD, National Horticultural Board (NHB), Ministry of Food Processing Industries (MoFPI) and Agricultural and Processed Food Export Development Authority (APEDA). Apart from this, the government is also permitting 100% FDI and offering tax reductions to handlers in the cold chain industry. Moreover, as several healthcare products like biopharmaceuticals, vaccines and clinical trial materials are heat sensitive, the growing pharmaceutical industry has further catalyzed the demand for these facilities. Besides, the expansion of the organized food retail sector is anticipated to boost the market growth. By 2024, the market value is projected to reach INR 2,618 Billion, expanding at a CAGR of 14.8% during 2019-2024. Based on segments, the market has been bifurcated into cold chain storage and cold chain transportation. At present, cold chain storage dominates the market, holding the largest share. On the basis of products, the market has been segregated as fruits and vegetables, meat and fish, dairy products, and healthcare products. Currently, the fruits and vegetables segment holds the majority of the total market share. The market has also been divided on the basis of sectors which include private, cooperative and public. Amongst these, the private sector accounts for the biggest market share. The market has been divided into organized and unorganized segments. Presently, the unorganized segment exhibits a clear dominance in the market. State-wise, the market has been segmented into Uttar Pradesh, West Bengal, Punjab, Gujarat, Bihar, Andhra Pradesh, Madhya Pradesh, Maharashtra, Karnataka, Haryana, Chhattisgarh, Rajasthan, Orissa, Tamil Nadu and Others. Amongst these, Uttar Pradesh is the biggest market, accounting for the majority of the market share. The competitive landscape of the market has been examined in the report along with the detailed profiles of major players that are operating in the market.